Over the past month, my husband and I have spent a lot of time together. I mean, a lot of time. As he begins to transition out of the Navy and into a brand new civilian life– and as we begin to figure out what that really means– we decided to use his terminal leave to take a road trip across America. We spent about 4-5 hours in the car together, every day for more than 30 days. Like I said, we had a lot of time to talk. 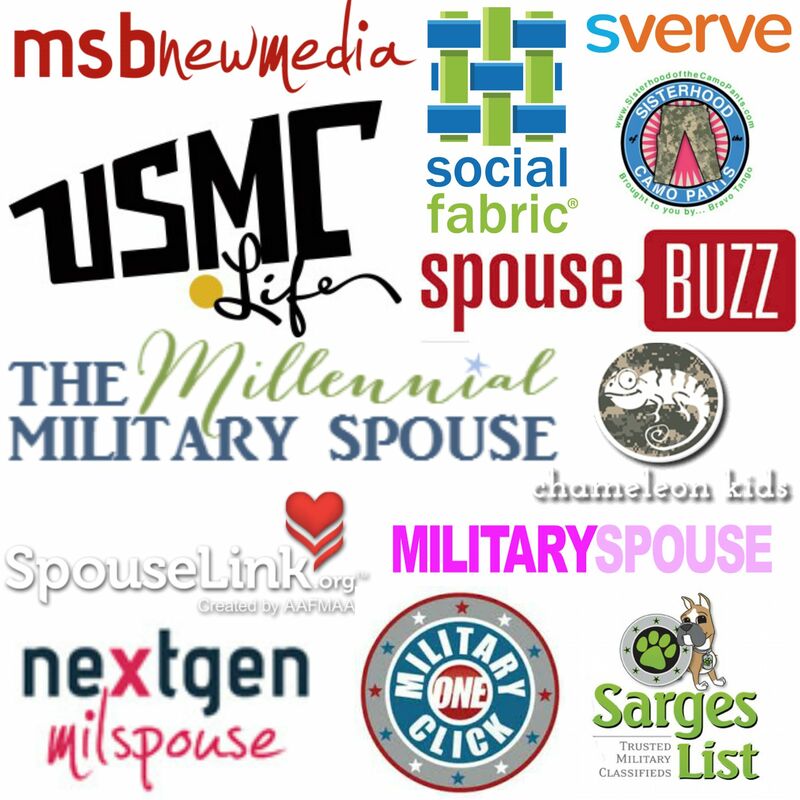 Members of the military are a tiny fraction of the general population… and so are their families– the people most comfortable with them and the military lifestyle. It can be tough for people outside of that sphere to know exactly what to say to veterans– after all, if you don’t understand or aren’t knowledgeable about it, how do you make sure you don’t offend someone? Maybe you don’t know what to say at all. That’s okay. Over the last fifteen years, Americans have gotten really good at saying thanks: from military discounts to organizations to the random, sweet people who have just said thanks or have shaken my husband’s hand over the last 6 years. There are many, many people who have gone out of their way to help and thank countless veterans for their service. But if you want to take it one step further, listen. This simple act could mean the world of difference for those veterans who feel marginalized by society this Veterans Day. I took Folgers up on their challenge (it wasn’t hard to convince John since he’s best friends with his coffee mug) and grabbed some instant travel coffee from Walmart as we were traveling. (After all, single-serve is the way to go when you have a tiny car and are living out of motels!) We spent hours driving down ruler-straight highways in South Dakota to windy, rainy roads through the Oregon Cascades to flat, desert roadways. 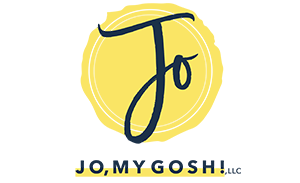 We talked about what life would be like after the military and where the past 5 years as a military couple had gone; what we learned, where it would take us afterwards. We laughed over the memories of talking on the phone for hours, emergency leave for hurricanes that just happened to have him evacuate to my apartment (which was still in the path of said hurricane), the command Christmas parties and picnics we attended, and the people we’ve met. John told me stories and tidbits that I had never heard before. It was a bit surprising since I’ve been along for almost his entire time in the Navy. I thought I knew it all. (And of course, I didn’t.) He told me stories about his year-long deployment to Afghanistan, his experience in boot camp, and many of the moments in between. John has wanted to join the Navy since I’ve known him– and that’s been for the last 12 (almost 13!) years. He’s proud of his family’s military tradition and he wanted to contribute to his country and his family’s legacy as well. 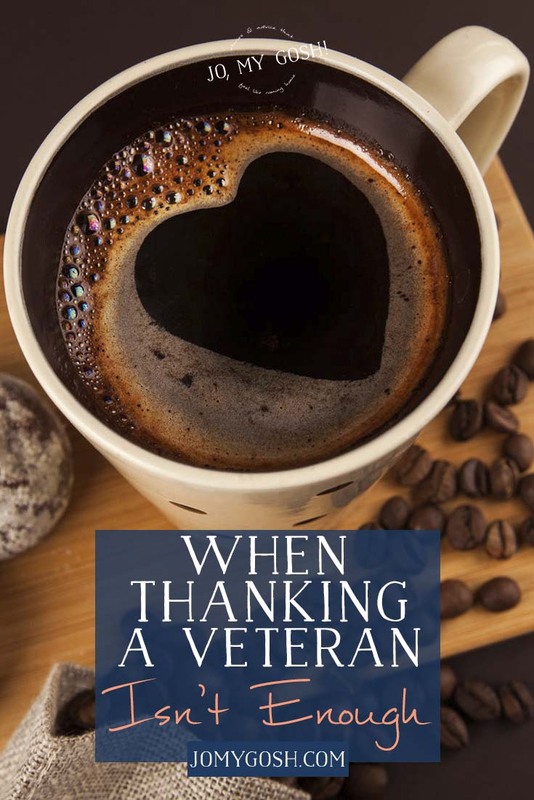 And it didn’t hurt talking over coffee– that bitter nectar was one of the things that defined deployment and made it bearable. Now that he’s almost finished with this part of his commitment, it was illuminating and enlightening to hear his observations and thoughts about the past 6 years. Make a care package of treats and Folgers. Then take your care package and listen over cookies and coffee. Brew two cups at your place, and put them in travel mugs. Meet your veteran at a park to enjoy the last days of fall. Spend time at a VA hospital or nursing home chatting. Write a note or call a veteran you haven’t spoken to for a bit. Invite a military family over for dinner or make dinner and take it to them. Don’t know where to start? Start with hi. Some veterans may want to talk about their service; some may not. And that’s okay too. Don’t push a topic that they don’t want to talk about. After all, you wouldn’t do that in a “regular” conversation, right? Talk about the grandkids or the weather or how awesome those cookies are.